Father Hopko contributed much to the conversation about women in ministry, while upholding the Church's tradition of the all male priesthood. His podcasts are available to hear at Ancient Faith Radio. Hopko died of complications from congestive heart failure due to amyloidosis on March 18, 2015, in Wexford, Pennsylvania. May he repose in peace and rise in glory. 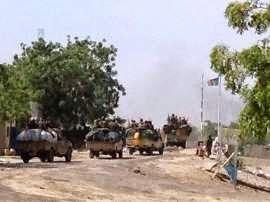 DAMASAK, NIGERIA: Soldiers from Niger and Chad who liberated the Nigerian town of Damasak from Boko Haram militants have discovered the bodies of at least 70 people, many with their throats slit, scattered under a bridge, a Reuters witness said. In what appeared to be an execution site for the Islamist group, the bodies were strewn beneath the concrete bridge on one of the main roads leading out of the town. At least one had its head completely severed. 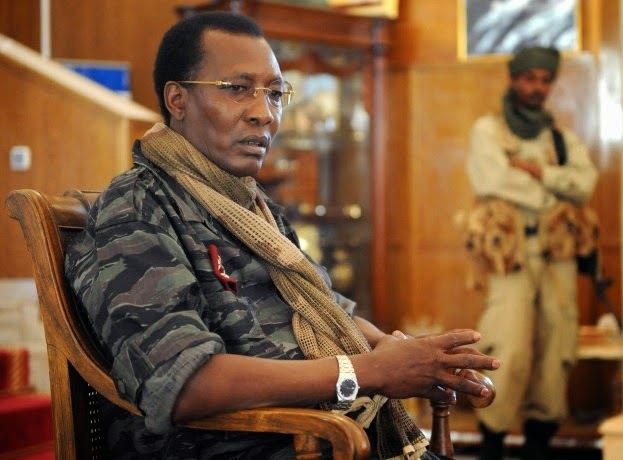 Related reading: Chad's President Hunting Boko Haram Leader; Boko Haram Leader, “Abubakar Shekau” Reportedly In Nigerian Government Custody; Boko Haram Militants Kill their "Wives"
Chadian President Idriss Deby on Wednesday vowed to “wipe out” Boko Haram and called on the group’s chief Abubakar Shekau to give himself up, warning that he knew where the militant leader was hiding. “It is in Abubakar Shekau’s interest to surrender, we know where he is. If he refuses to give himself up, he will suffer the same fate as his comrades,” Deby said at a press conference with his visiting Niger counterpart. Deby said Shekau had fled the strategic northeast Nigerian town of Dikwa after Boko Haram fighters were chased out of the town by Chadian troops in fierce clashes last month. The Chadian army at the time said two of its soldiers and 117 Boko Haram Islamists were killed in the fighting around Dikwa in Nigeria’s Borno state on February 17. On March 8, 2015, Chad and Niger announced a joint campaign against Boko Haram.